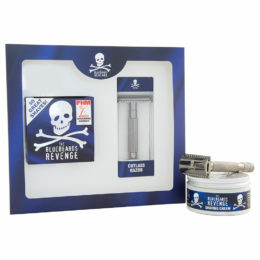 The Bluebeards Revenge Cut-Throat Razor Kit brings back the thrills and spills of old-fashioned shaving for Real Men – but with a thoroughly modern twist. Includes our iconic branded replaceable blade straight razor, which uses disposable blades for a cheap and effective option that doesn’t compromise on manliness. 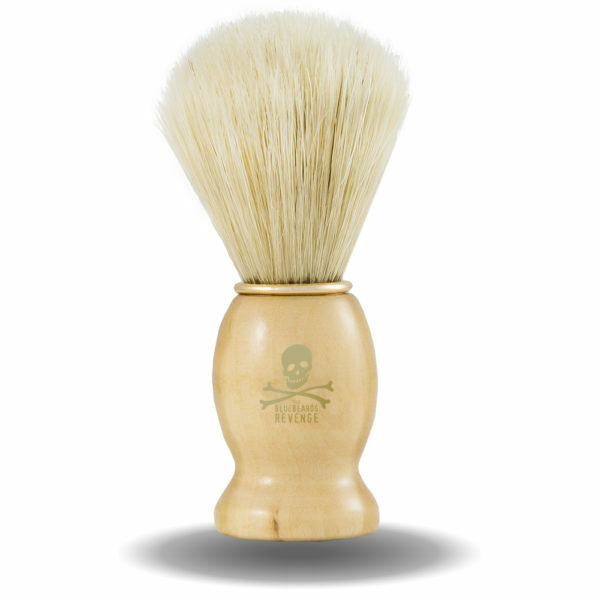 Paired with our best-selling Doubloon shaving brush and enough shaving cream and post-shave balm for more than 50 great shaves. 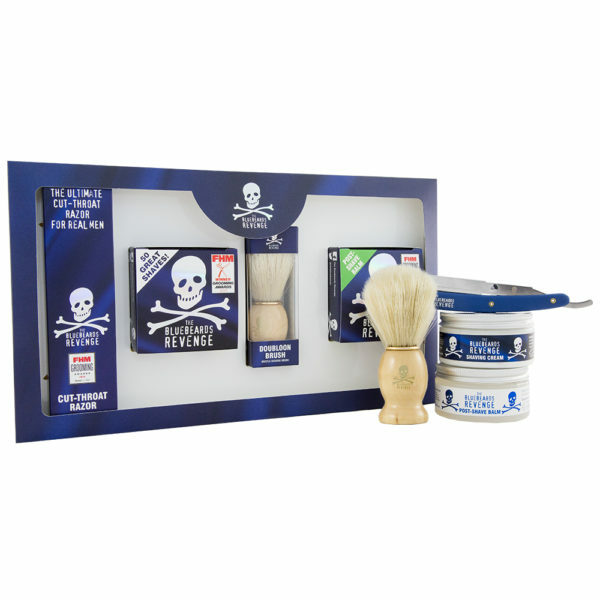 Be warned – this unique kit contains an element of mild peril! 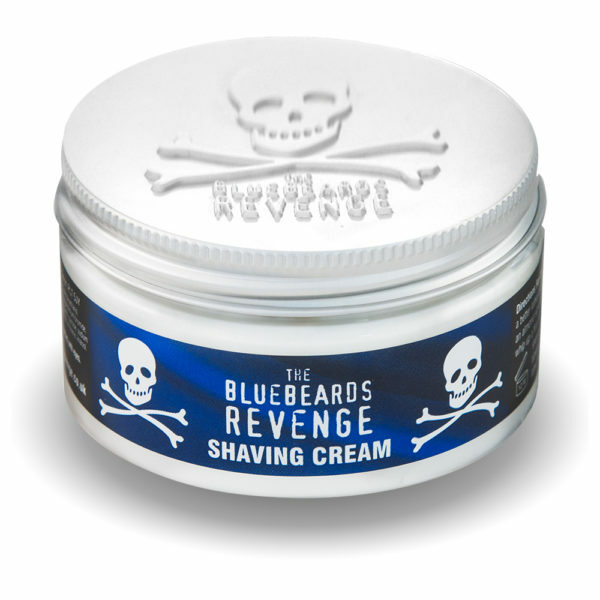 A great brush for wet shaving beginners, the Doubloon is the perfect companion for The Bluebeards Revenge Shaving Cream, and will have it whipped into a lathery frenzy in no time. 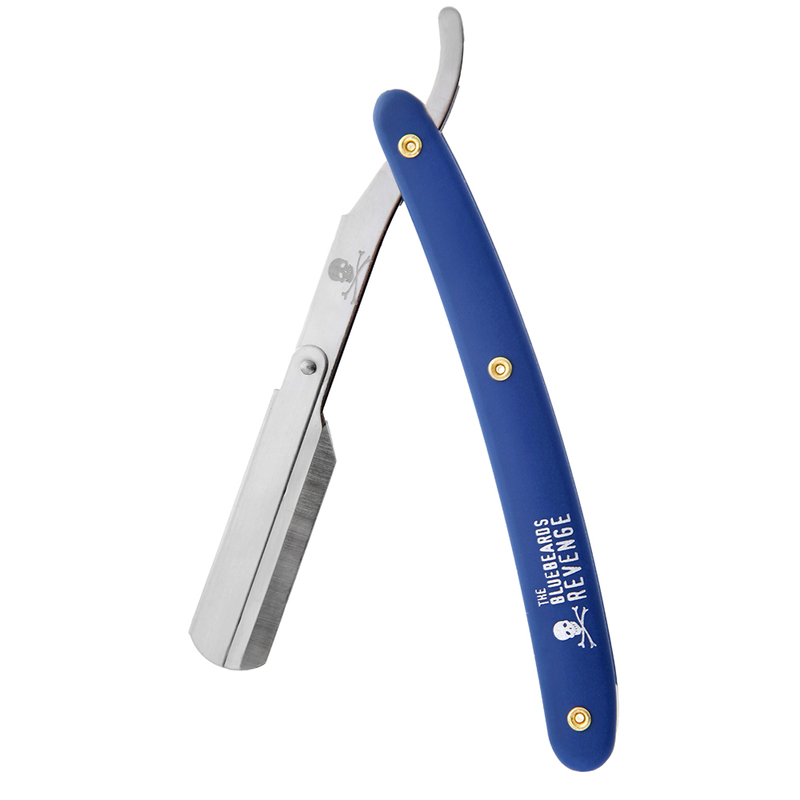 Cut-throat shave the Bluebeards way with this stylish replaceable blade straight razor! This razor is a close relative to the straight razor with the difference being that the blades can be changed, just like a safety razor. 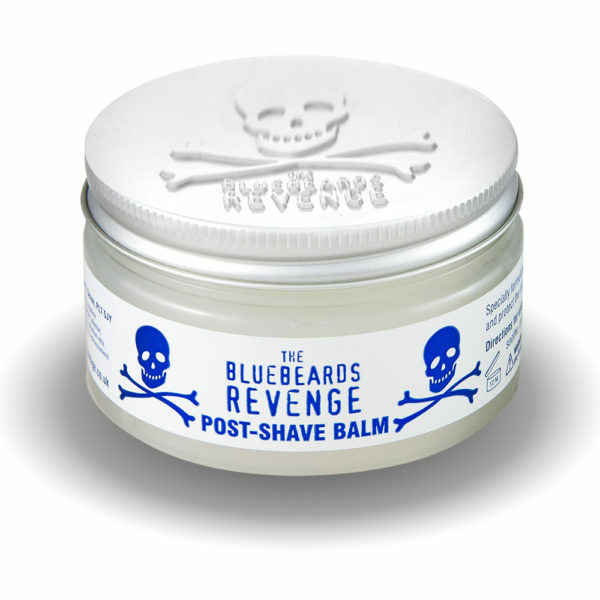 This means you don’t have to worry about stropping and sharpening yet enjoy the closeness of a straight razor shave! 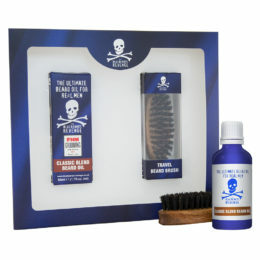 Featuring the iconic Bluebeards skull on both the handle and the metal blade-holder, the razor comes in a handy slip case that is perfect for travel. Dimensions: Length is 22cm fully open. 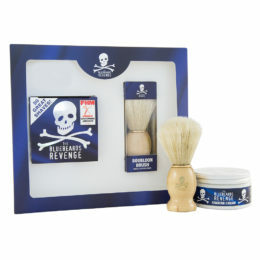 Note: This razor will take any standard double-edge razor blades.  Simply snap a double-edge blade in half (lengthways)and insert. 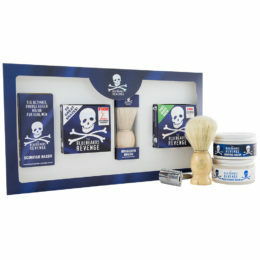 Blades not included: You can buy double-edge razor blades in most supermarkets or pharmacies on the high street. 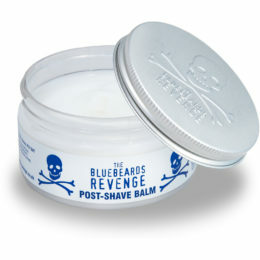 You can also buy blades directly from our online shop.